This month I assembled three videos to memorialize the crew of STS-107 and to recognize the sacrifices of those who fought so hard to bring Columbia home and prepare the shuttle fleet to fly again. These videos were first shown publicly at the “Columbia: Lessons and Legends of Recovery” event at Kennedy Space Center on January 26. I understand that versions of these videos may be officially shared later on, but I wanted to give you the opportunity to see them this week as we reflect on the crew of STS-107 on this 15th anniversary of their loss. I’ll share the videos one at a time for the next three days. Although I hope the videos stand on their own, I’ll give a little preview of what you’ll see. The videos are not subtitled, so you’ll need to have your sound turned on when you watch them. Also, please bear in mind that making these videos was the first time I’d ever used iMovie, and I am far from being a professional video editor! Today’s video is: STS-107 Preparation and Mission. The crew of STS-107 discuss their excitement about the upcoming mission. Launch Director Mike Leinbach wishes the crew “Good luck and Godspeed,” and Columbia launches into a beautiful blue sky. We see some highlights of the crew’s on-orbit activities. The six-minute video fades to black with Mission Control’s calls to the crew during re-entry. Tomorrow: A Tribute to the Crew of Columbia Mission STS-107. On January 26, 2018 I had the distinct honor of being one of several guests in a panel discussions entitled, “Columbia—Lessons and Legends of Recovery.” The panel was produced by Michael “Chach” Ciannilli, head of NASA’s Apollo Challenger Columbia Lessons Learned Program, and it was held in Kennedy Space Center’s Training Auditorium. Several hundred people attended; indeed, it was standing room only! Chach opened the meeting with a vivid visual image of how the thousands of volunteers and workers from more than one hundred agencies transformed what had been a very dark day into something with a brighter meaning. Chach said that a few glimmers of light in that initial darkness came together to produce a few rays of light, and as the days progressed and more people became involved, those rays came together to form a beams of light, and eventually those beams gathered into a powerful beacon that guided Columbia and her crew home one final time. KSC Director Bob Cabana spoke next, recalling how the STS-107 mission was his first as head of the Astronaut Office. He had been on the Astrovan with the crew as they went to the launch pad on January 16, 2003. He was at the runway waiting for them to come home on February 1. And it was a short time after they failed to arrive that he had to inform their families that the crew had perished. Cabana said he hopes no one at NASA will ever have to do something like that again. Mike Leinbach spoke next, setting the stage for the accident and the early phases of recovery and reconstruction. Mike was followed by Dave King, former Marshall Space Flight Center Director, who led NASA’s efforts to recover Columbia‘s crew and the vehicle’s debris. King said that until we interviewed him for the book, he had rarely spoken to anyone about his experiences in the recovery, and that this was one of the first times he had ever spoken about it publicly. Following King’s remarks was a short video tribute to the crew of Columbia. I produced the video for this event, and you can find it at this link. The music is as song “Sixteen Minutes from Home,” by Chach’s nephew Kyle Breese. The next hour was a panel discussion. Included were Greg Cohrs of the USDA Forest Service (who was instrumental in leading the search for Columbia’s crew in Sabine County, Texas), Gerry Schumann (NASA’s Program Manager for Institutional Safety), Dave King, Mike Leinbach, Chach, and myself. We covered a wide range of topics ranging from where we each were when we learned of the accident to the lessons we learned and what we think the American public needs to know. 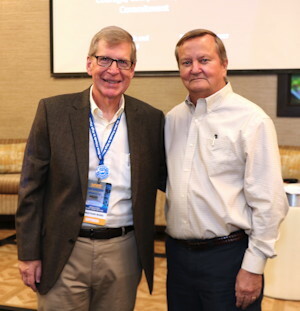 Greg Cohrs and I both provided “outside” perspectives on leadership and communications cultural issues. Greg pointed out that the Forest Service had faced very similar issues in how hard it was for unpleasant information to make it to the attention of management, but the Service was making strides to turn that around. I noted that it is easy for management to say that they want open debate, but that it takes extra effort by leaders to insure that there is no hint of intimidation or retribution if someone brings up difficult subjects. Mike Leinbach strongly recommended that everyone in the audience read both the Rogers Commission report on the Challenger accident and the CAIB report on the Columbia accident, and then read about how NASA responded to both sets of recommendations. “When faced with a decision about how to proceed,” he said, “I hope you’ll do it the way we did after Columbia.” By that, he meant examining institutional and technical flaws with open discussion and debate, and learning from mistakes rather than treating an accident as an embarrassment to be buried and forgotten. An audience question and answer session ensued, followed by a meet-and-greet after the program ended. What a thrill it was to be part of this discussion and to relax with some of the participants at Brix in Titusville afterward! In mid-November, I was surprised to get an email from astronaut Thomas Jones, a veteran of four Space Shuttle missions, requesting an interview. It was a surprise because I’m usually the one asking to interview astronauts, not the other way around! Tom attended the presentation that Mike and I gave at the Astronaut Scholarship Foundation earlier in the month, and it inspired him to write an article for Aerospace America, a journal published by the American Institute of Aeronautics and Astronautics. On November 17, 2017 Mike Leinbach and I met in Cocoa Beach with Tom, along with Mike Ciannilli, who directs NASA’s Apollo Challenger Columbia Lessons Learned Program. I was fascinated to hear Tom, Mike, and “Chach” discuss from their unique perspectives their thoughts about the Columbia accident, the recovery and reconstruction of the shuttle afterward, and the lessons Columbia holds for future manned space missions, both on NASA spacecraft and on commercial crew vehicles. After the intense conversation, we adjourned to an Irish pub to swap happier stories! Below is the link to the article that Tom wrote. I think you’ll agree that it’s a fantastic synopsis of the Columbia story and the need to reinforce the safety culture at NASA going forward. Two years ago this week, I was in Hemphill, Texas to conduct interviews for “Bringing Columbia Home.” Belinda Gay and Marsha Cooper of Hemphill’s Patricia Huffman Smith “Remembering Columbia” Museum had graciously provided space in the museum to conduct the interviews, and had arranged for several dozen people to meet with me. I flew into Houston, rented a car, and then made the two-hour drive to Hemphill. The flatlands and concrete jungle of the Houston area gradually gave way to a more scenic, wooded environment. (I made sure to stop for a Whataburger on the way north!) By the time I turned off at Lufkin and started heading east, I was now following in the path of the debris from Columbia as it broke apart in the morning sky on February 1, 2003. I tried hard to imagine what it was like on that chilly, foggy morning when the silence was pierced by the thunder of the reentry of the debris, and as thousands of pieces came to earth over a 250-mile-long path. I just couldn’t wrap my mind around it. The forest grew thicker the farther east I drove, and I passed along the Sam Rayburn Reservoir before arriving in Sabine County and Hemphill. From the very first interview the next morning, I was overwhelmed with the graciousness and goodness of these people. They were all eager to share their stories of a pivotal time in their lives and in the life of their community. My first interviews were with Doug Hamilton, a law enforcement officer from the US Forest Service, and Sheriff Tom Maddox of Sabine County. They were among the first responders on the scene when debris from Columbia was positively identified—and the remains of the first of Columbia‘s crew were discovered. Later that morning I interviewed “Squeaky” and Byron Starr, the town’s funeral directors, who played key roles in recovering the remains of Columbia‘s crew with dignity and discretion. I also talked with Roger Gay, the commander of the town’s VFW at the time of the accident. The VFW hall would become the focal point of activity for the thousands of searchers who descended on Hemphill for the recovery of the ship and her crew. The afternoon was reserved for speaking with some of the townspeople who volunteered to do anything they could to help in the recovery. Dwight Riley was 65 years old in 2003, but he didn’t let his age interfere with searching the woods. He recalled finding a “Lift-the-Dot” type of snap lying on the ground in the woods and wondering, “Where did that come from? Was it on a harness, or a wall, or a uniform? How did that come from space to land here?” As he reflected on the events of that February, he broke into tears, saying that it was the most rewarding thing he’d ever done in his life. I handled more tea than I’ll ever handle in my lifetime. And the people that I served, you wouldn’t want anybody to be any nicer. The guys that come through, they seemed so nice and mannerly. I never heard a foul word or nothing come out of all them men’s mouth that come through. And you know, usually somebody’ll act up. But they didn’t. And I was serving tea. They had sweet tea and they had, you know, tea without sugar, unsweetened. So I got to the place to let ’em know what I was serving. I’d just, I’d say “Sweet tea,” and they’d come to me. I’d say, “Sweet tea,”–and the other was serving other tea–I’d say, “Sweet tea? Sweet tea?” I said “Sweet tea” so long, until they named me ‘Sweet Tea.’ Dr., let me see, what was his name–. Dr. Somebody out of Beaumont, I forget his name. He called me Sweet Tea first, and then the rest of ’em went to calling me Sweet Tea, and I was just serving tea. I helped serve food, too. It was awesome. The next two days of interviews included other participants in the search, both officials and volunteers. Jamie Sowell of the US Forest Service spoke about his organizing and leading search teams into the woods during the first two weeks of February. School teacher Sunny Whittington described how she was inspired to have her elementary school class make hundreds of sandwiches to feed the searchers, each lunch containing a handwritten note of encouragement from one of the children. Another of the searchers I spoke to that week recalled the note in his lunch bag, and he broke into tears telling me about how deeply meaningful that gesture was to him in such a difficult time. Felix Holmes of the US Forest Service was involved in the recovery of Columbia‘s nose cap, which was found in the woods outside Hemphill. He bulldozed a clearing so that a helicopter could attempt to airlift the structure out of the woods. When high winds thwarted the airlift, he bulldozed a path for a four-wheeler and trailer to get back to the site. Holmes was also instrumental in creating a path in Ayish Bayou for rescuers to reach the site of the fatal search helicopter crash in March 2003. Greg Cohrs (left) of the US Forest Service and Olen Bean of the Texas Forest Service. Greg Cohrs of the US Forest Service was pressed into service on the morning of February 1, 2003 to try to bring order out of the chaos of the initial response to the accident. Cohrs went on to coordinate the search operations in Sabine County in the first two weeks of February, during the search for the crew’s remains. He also continued to be involved throughout the debris recovery effort that lasted until late April. He kept a detailed journal of his day-by-day activities during that period. He graciously shared that with us, and he became a key consultant—and good friend—to Mike Leinbach and me as we put the book together. We believe that Greg’s accounts of the daily struggles and the highs and lows of the search operations truly make “Bringing Columbia Home” a gripping account of the human drama of that intense period. We’ll forever be indebted to Greg for his contributions. Miss Marie “Little Granny” Nelson was overwhelming in her kindness toward me. She brought me a chocolate cake one day, banana pudding another day, and gave me a blue sequined cowboy hat and Texas flag shirt another day. She was yet another of the volunteers who helped make life easier for the searchers. She recalled talking to National Guardsmen who were bivouacked in the gym of Hemphill’s high school. One of the guard asked her, “Ma’am, where are we?” She went to the library and photocopied maps of the area to help these people get their bearings relative to the rest of Texas. One of the great coincidences that made putting this book together so powerful for me is that Dan Sauerwein later contacted me via Facebook. He recalled Alexander’s generosity but had lost touch with him over the years. I was able to put the two of them back in contact with each other. Belinda Gay, Jonathan, and Marsha Cooper. Throughout this overwhelming period of interviews, Marsha Cooper and Belinda Gay kept me organized and also filled in a lot of details. They were of course both deeply involved in the recovery. Belinda solicited the food donations and coordinated the volunteers who served somewhere between 30,000 and 60,000 meals at the VFW during February 2003. Marsha was in the first search teams to go into the woods after the accident to look for Columbia‘s crew, and she coordinated much of the interface between the media and the US Forest Service during the recovery operations. Gay and Cooper were also the driving force behind establishing the Columbia museum in Hemphill—an incredible test of perseverance in overcoming bureaucracy and people who wished simply to forget that the accident ever happened. 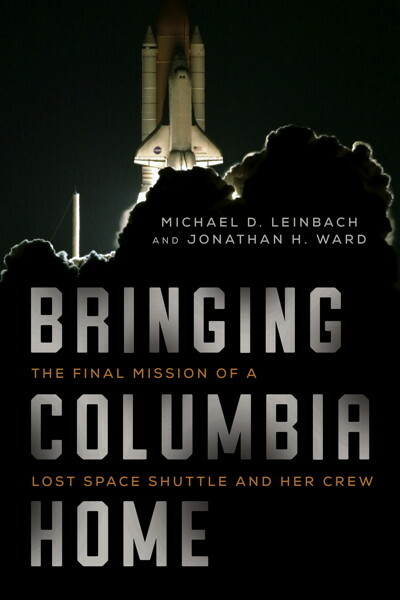 Their efforts will, I believe, ultimately be as important in preserving the legacy of Columbia as those of the NASA officials who preserved Columbia‘s debris for future study. One afternoon, we drove out to see where some of the searches had taken place. We visited the “nose cone” site, where Columbia‘s reinforced carbon-carbon nose cap and its supporting structure came to earth. Gay and Cooper have been actively trying since 2003 to turn this into a National Memorial to commemorate Columbia and the deeds of the people of East Texas in recovering the ship and her crew. They even solicited design proposals from architecture students at Texas A&M University. We also stopped by the site where the first of Columbia‘s crew were recovered on the morning of the accident. The landowner erected a simple cross saying “American Hero” shortly after the accident. It is a stark and sobering reminder of the human cost of space exploration. My short visit to Hemphill was one of the most moving experiences in my life. I left there forever changed—completely overwhelmed by what everyday people can do when suddenly thrown into responding to an extraordinary event. I hope that “Bringing Columbia Home” will pay some small measure of homage to these incredible people who are truly American heroes. The 4th quarter 2017 issue of “Texas Roadways” magazine will be doing a feature story on Hemphill and the Remembering Columbia Museum.